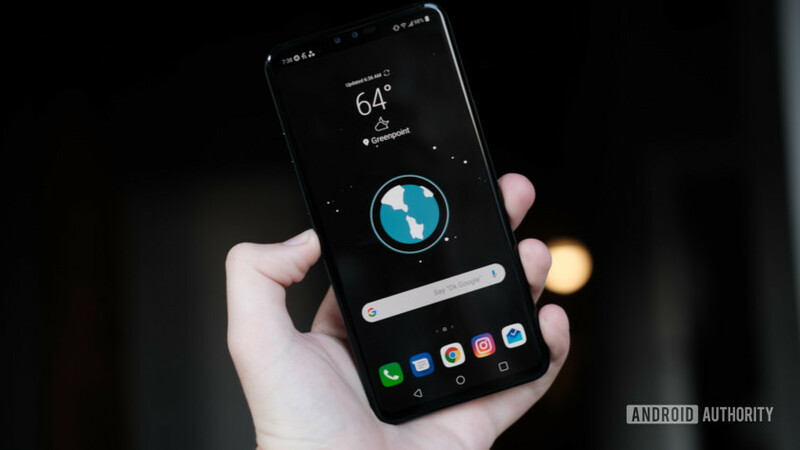 LG V40 ThinQ specs, release date, rumors, and more! The LG V40 ThinQ has landed and we have all the official details here. Read on for a full rundown of the V40 ThinQ specs, features, price, and release date. Even though we thought LG would try to streamline its mobile releases in an attempt to turn around its fortunes, things have not necessarily panned out that way in 2018 so far. Not only did we see the AT&T-exclusive V30S ThinQ in May, but we also saw the equally iterative V35 ThinQ in June. Mere months later, LG is back with the LG V40 ThinQ. Confusing releases aside, LG looks to get back on the right path with the V40 ThinQ. The V40 ThinQ is the proper follow-up to 2017’s V30 and sports a slew of upgrades relative to its direct predecessor. From the ludicrous number of cameras to the beefy processor, the LG V40 ThinQ contains plenty of promise and looks to charge you a pretty penny for the privilege of owning one. Here is everything you need to know about the LG V40 ThinQ. From the five cameras and 32-bit Hi-Fi Quad DAC to the Boombox speaker and Snapdragon 845, the V40 ThinQ is a smartphone that can do just about anything. The problem, as we found out in our review (linked below), is that the phone feels unfinished and under-baked. For example, the triple camera setup around back is a feat of engineering that should be applauded. On paper, LG offers a no-compromises photography experience that allows folks to take wide-angle, telephoto (zoom), and standard pictures. Things did not play out that way in the real world, however. The cameras were supposed to be the stars of the show, the reason you would pick up the V40 ThinQ over everything else. Unfortunately, pictures turned just out okay and not great like we had hoped. Pictures from the telephoto lens contained a good bit of noise and poor color reproduction in moderate to low-light situations. That is a common feeling we had across the board, save for the excellent sound from the DAC. The display is better than the V30’s, but it is hard to read outdoors. The phone itself looks good, but the back looks extremely similar to the V30’s and the phone itself is incredibly slippery. The battery gets you through the day, but not much more than that. The V40 ThinQ is not a bad phone. Its feature set is very impressive for a flagship Android smartphone and, on paper, stands with the best of them. The problem is that, when you release a phone that is a jack of all trades and a master of none, and charge almost $1,000 for it, you made a mistake. When compared to something like the Galaxy Note 9, the V40 ThinQ is simply too expensive for its own good. Even with the unreasonably high price tag and mediocre battery life, there is still plenty to like about the V40 ThinQ if you are on the hunt for your next Android smartphone. The five cameras might not have performed as well as we had hoped, but we are still happy they are there. LG is the first manufacturer to produce a smartphone with five cameras, three of which are around back and two in the front. As previously stated, the rear camera setup features a standard 12MP camera, wide-angle 16MP camera, and telephoto 12MP camera. Around front are the standard 8MP sensor and 5MP wide-angle sensor. The second front camera also helps capture depth information for self-portraits. We also like the V40 ThinQ’s audio prowess. The 32-bit Hi-Fi Quad DAC delivered the best wired headphone experience on a smartphone, while the Boombox Speaker tech turns the phone into a mini speaker. Elsewhere, we also appreciate the V40 ThinQ’s support for wireless charging and Quick Charge 4.0. The phone even retains the 3.5mm headphone jack and IP68 certification from the V30. You can read more about our favorite V40 ThinQ features at the link below. Thankfully, the positives continue when you look at the V40 ThinQ’s spec sheet. With a Qualcomm Snapdragon 845, 6GB of RAM, and either 64GB or 128GB of expandable storage, the V40 ThinQ is a true 2018 flagship. The 3,300mAh battery is not as large as we had hoped it would be, but at least it charges quickly through Quick Charge 4.0. The V40 ThinQ also supports Qi wireless charging and includes the aforementioned 32-bit Hi-Fi Quad DAC and Boombox Speaker tech. You even get a notch — that everyone absolutely loves — at the top of the display. Unfortunately, the V40 ThinQ ships with Android 8.1 Oreo. LG did not say when it would ship the Android 9 Pie update, though it could take a bit. You can check out the rest of the V40 ThinQ’s specs at the link below. Now comes the V40 ThinQ’s worst feature: the price. Depending on the carrier you choose, expect to pay anywhere between $900 and $980 if you want to pick up the phone outright. Another option is to pay for the V40 ThinQ each month, a plan that carriers are more than happy to offer you. You can pick up the phone either outright or with monthly installment plans through U.S. Cellular, AT&T, Verizon, T-Mobile, and Sprint. U.S. Cellular, Verizon, and Sprint even offer free goodies if you pre-order the V40 ThinQ. If the bundles are not enough to entice you to a carrier, however, B&H offers the unlocked version for $950. Pre-orders for the V40 ThinQ in the U.S. generally open October 12, though Verizon gets a one-day head start. General availability is set for October 19. There is no word yet on international availability, though LG confirmed the phone will not be released in Canada. Make sure to read the article below to get additional pricing and availability information. That is about everything you need to know about the V40 ThinQ. Make sure to check out our coverage of LG’s latest flagship smartphone and let us know in the comments if you plan to pick one up for yourself or someone else.